We are pleased to welcome you to the optometry office of Dr. Savko. 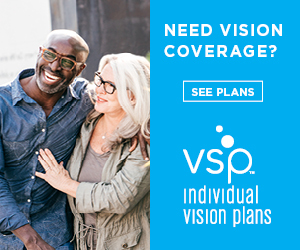 Your vision and eye health are our primary concern. We look forward to meeting you and helping you with all of your optometric eyecare needs. If you're looking for quality care with a personal touch, we hope you'll give us a call. Our goal is to serve our patients by helping them with their personal eye health, provide professional eyecare and outstanding service. We offer a full range of options to meet your eyecare needs. We provide comprehensive eye exams and contact lens fittings, LASIK and cataract surgery co-management, screenings for cataracts and glaucoma, and emergency medical office visits. We invite you to visit our beautiful frame dispensary and choose from the latest in fashionable ophthalmic eyewear and sunglasses. Our opticians can help you find and fit the perfect frame to match your lifestyle. Dr. Savko's office is located in Thousand Oaks in the Conejo Valley Plaza between Homegoods and Marshalls. We would be delighted to have you and your family as our patients. Our website provides you with information about our doctor, staff, office hours, insurances, directions to our office and other useful information.